"Thanks so much to Sumintra for her warm welcome and all her help opening up a savings account for my son today. She was patient, informative, and super nice. I am recommending FFCCU to everyone. What a wonderful savings program they have for our little ones!" We are each a walking collection of habits. The things we do define us, and the things we do often, our habits, truly shape our lives. 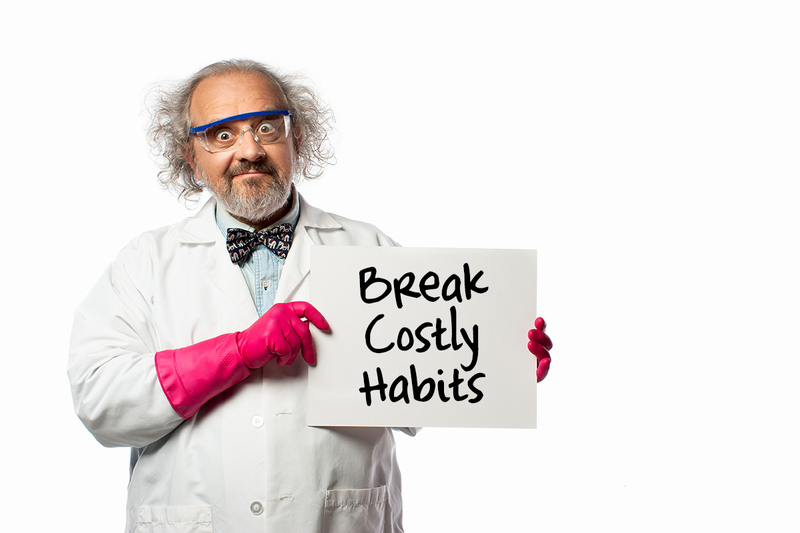 Some habits cost us money, and when it’s a habit that we perform often, that money tends to add up. So, what makes a habit? A habit is essentially made up of three parts: the cue, the routine, and the reward. In the cue stage, something triggers your brain to go into auto-pilot and let your memorized behavior take over. You then perform the task, your habit. Once you’re done with the task, your brain gives you a reward to help it remember your habit loop in the future. The more you perform this loop, the more your brain gets used to it and the more automatic it becomes. Eventually you won’t have to think about doing whatever the task is, it will just happen automatically. Your brain has to devote less and less power to doing this task, and it does this to allow you to use it for something else. Think about it, when you first started driving to a new job in unfamiliar territory, you had to pay attention and actively think about how to get there. But after a week or two, it’s all automatic. You can focus more on the radio and just let your automatic actions get you there. Think to yourself, what are your habits? What are the things you do on a daily or near daily basis? Do they cost you money? Sometimes we don’t think of our habits when we are looking to save money, but often times they are the first thing we should consider cutting. For example, if you stop for a $2 coffee every morning before work or class, you could be spending nearly $50 a month and upwards of $500 a year on that habit. To break or change any habit, you have to first identify the cue that tells your brain to execute this habit without reconsideration. Did you get in your car and automatically start driving to the coffee shop? If you want to save money on a habit like this, you need to actively consider your alternatives and knowingly avoid going into auto-pilot. You have to relearn this routine without automatically driving to the coffee shop. So what are these alternatives to this stop? Does your job offer free coffee? Maybe you can wait to drink that cup until you get there. We aren’t all morning people though, so maybe it’s time dust off and use that old coffee maker taking up space in your kitchen. This would make avoiding that automatic drive to the coffee shop a lot easier. You already have a hot cup of coffee with you! Have a single cup coffee maker? You can save even more money by buying grounds and using the reusable filter that came with it instead of the costly single-use cups. Do you go out to lunch every day? Let’s say you spend $8 on that daily lunch as an average. After subtracting for holidays and vacation time, you probably work close to 245 days a year. That would figure to $1,960 spent on lunch! If you were more frugal about it and did dollar menu purchases ONLY, spending about $4 each time, it would still be $980! There are a lot of things you can do to save money in this situation, even just cutting back to one or two lunch outings a week would be a tremendous savings. But packing your own lunch daily, except maybe for special occasions here and there, will save you the most. And think about how much healthier you’ll be eating as well! There is a lot of banter about the time it takes to make or break a habit, but the common number that comes up among studies is 20-30 days. During this time, you’ll have to actively think about your plan to make or break a habit and stick to it. Before you know it, it will become an automatic action. Something you don’t easily stray from. People tend to replace one habit with another, so consider your bank account and any other factors that you think might be affected when you tackle a habit and make sure you’re replacing it with one that benefits you and the future you want. 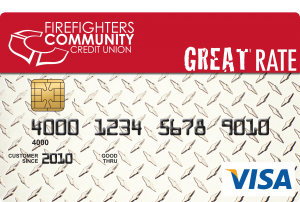 If you’re pretty deep in credit card debt, our Great Rate credit card might be your savior. You can transfer your balance from multiple high interest cards for $0 and start your path to saving with a bang. *Rate is good for 12 months after first balance transfer occurs. After the introductory period ends, the Variable APR applies. The 1.99% APR applies to balance transfers only, not new purchases. Learn about our VISA Credit Card Rates and Interest Charges here. 6 Steps To Adult-Level FinancingReady to buy your first home?